Mozilla Foundation is improving the performance of its Firefox OS software for smartphones, and devices running it will soon go on sale in more European and Latin American countries. Firefox OS is built around applications written in HTML5. Mozilla Foundation is pitching it as a better option for low-end smartphones, and devices running it will compete head-to-head with cheap Android smartphones and other platforms such as Nokia's Asha. However, the operating system has yet to live up to that promise, with the first round of phones suffering from performance issues. "And boy, is the device slow, even for simple tasks like opening emails. Don't expect to finish every action; trying again is part of the experience," Infoworld said when reviewing the ZTE Open in August. Mozilla Foundation, which leads the development, is looking to address that with version 1.1 of Firefox OS. The organization promises "faster application load times and smoother scrolling," it said in a blog post on Wednesday. The upgrade also includes new features such as MMS messaging and enhancements to email, contact management and calendar. Existing devices will be upgraded to the new version soon. The Firefox OS-based Open and the Alcatel One Touch Fire are also about to get a wider distribution. Telefónica will sell the devices in Brazil and three other Latin American markets this quarter, and in other countries where it operates networks next year, it said. Deutsche Telekom will sell Firefox OS phones in Germany, Greece and Hungary, while Norwegian operator Telenor is also planning to sell the phones in Hungary, Serbia and Montenegro before the end of the year. The Open and the Fire are already available in Spain, Colombia, Venezuela and Poland. 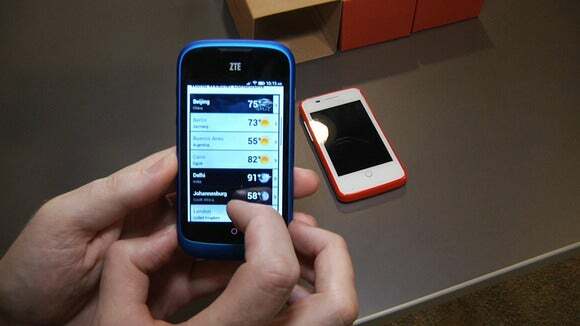 Last month, ZTE said that it had sold about 100,000 Open phones since the smartphone went on sale in July. To put that number in perspective, it's only a little more than the 82,000 Windows Phone devices sold to end users each day during the second quarter, according to Gartner. Windows Phone was the third biggest-selling smartphone OS in that quarter, ahead of BlackBerry OS and behind Android and iOS. End users bought an average of 2 million Android smartphones each day from April to June. However, both ZTE and Telefónica, which didn't want to comment on sales number, said they are happy with sales at this early stage.